The top stories, achievements, records, and individual performances of the 2018 year. 10. Culps first female runner to make state in 20 years — Senior Madras cross country runner Vanessa Culps was the first MHS female runner to make it to state since 1998. She placed second at districts with a time of 22 minutes and 22 seconds and was able to make it to state at Lane Community College. At districts, Culps executed the game plan her and head coach Andrew Jensen came up with and was in first for a part of the race. She was able to get ahead of the pack early and finish in the Tri-Valley District Championship in second place. Amy Harris was the last female cross country runner from Madras to make it to state and placed 28th for the White Buffalos. Culps was the lone runner at state for Madras and ran with an injury, finishing the race in 60th place with a time of 22 minutes and 56 seconds. 9. White Buffalos football program makes state for first time since 2012 — It is hard to believe it only took three season to go from one of the longest losing streaks in Oregon 4A (2016) to go to the state playoffs in 2018. The White Buffalos football program took big steps in the 2017 season, winning two games and breaking a 23-game losing streak. This year, spurred by playing in the 3A division, Madras made huge progress. 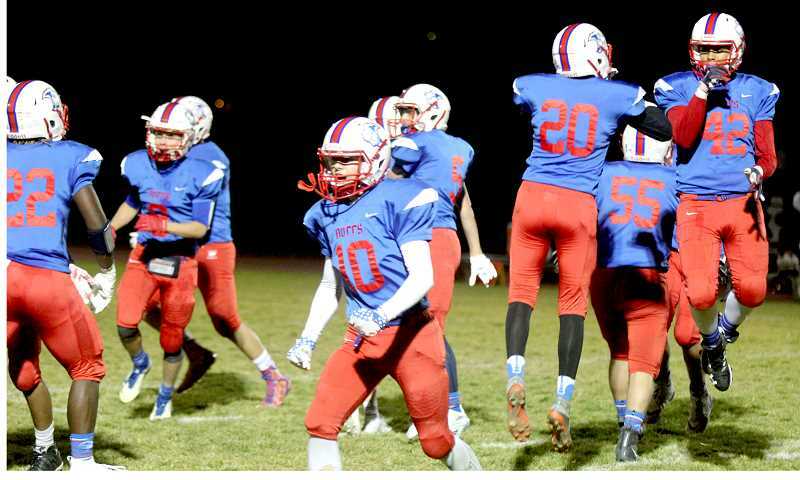 This fall, Madras finished the regular season with a 6-3 overall record, 4-1 in league play, before losing to the No. 1 ranked Rainier, who ended up becoming the 3A state champions. With an extremely hardworking coaching staff, new gear and the combination of Victor Torres and Treyvon Easterling in the backfield, Robert Pacheco under center and a stellar defense, the Buffs had the best regular season record since 2004. The Madras baseball program didn't just end a five-year playoff drought, but did it with success and style. The White Buffalos hosted a play-in game and faced Mazama. They found themselves down 7-1 early, but would overcome the deficit to defeat the VIkings 13-10. 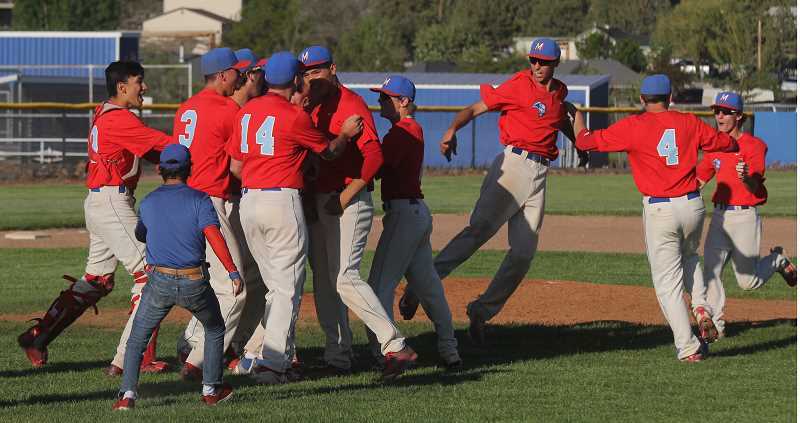 They traveled to Astoria for the first round of the playoffs and created one of the most exciting baseball wins in Madras history. It took 11 innings and a lot of scoring for the Buffs to cast away the Fishermen. 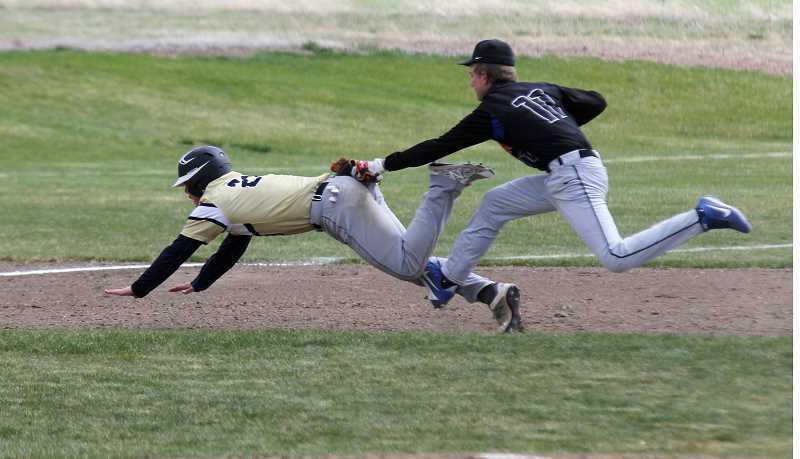 With elite player Tyler Lockey out of the game for an illegal slide, the Buffs dug deep for a win. Madras had an 8-2 lead heading into the bottom of the fifth inning, before Astoria tied the game up in the sixth inning. The Buffalos took a 9-8 lead in the ninth inning, but Astoria again tied the game. But Brandon Desjardins hit a double RBI to give the Buffs the lead back and Kanim Smith hit a three-run homer to seal the game in the 11th inning. The White Buffalos traveled to face North Marion in the quarterfinals game, but lost 5-0. The Gladstone Gladiators, who are also in the TVC, won the state championship game. 7. Culver baseball makes state playoffs for first time since 2001 — On May 19, the 2A baseball playoffs were finalized and the Bulldogs played Kennedy in the first round of the state playoffs. It was the first time the Culver baseball program had make the state playoffs since 2001. After 17 years, the Culver Bulldogs, who finished the 2018 regular season with a 10-7 overall record, did enough to make it to state. The entire school came out and showed their support when the baseball team was leaving to get on the bus. The Bulldogs lost to Kennedy 7-4, but had a 4-1 lead heading into the bottom of the sixth inning. Even though Culver lost, they proved the state playoffs were right where they belonged. 6. Erika Olivera makes Tri-Valley first-team honors for the fourth year in a row — Senior Erika Olivera was the lone White Buffalo girls soccer player to earn TVC first-team honors for Madras. Olivera has earned first team honors all the way from her freshman year to senior year. She had three league goals and seven assists. Olivera helped the Madras girls soccer program reach the postseason for the first time since 2003. The 2018 team also made the postseason this year, for the Buffs' second season in a row. The White Buffalos ended the season with a 7-7-1 record and scored more goals halfway through the 2018 season than the entire 2017 season. 5. 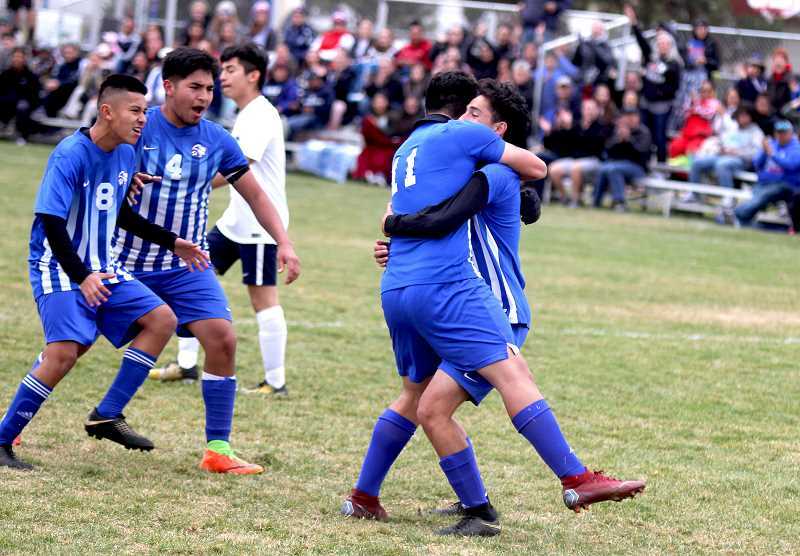 Madras soccer make it to semifinals game — The sophomores that lost in penalty kicks at the 2016 state championship game became seniors in 2018 and advances to the semifinals before losing to former 5A powerhouse Woodburn. The White Buffalos became Tri-Valley league champions for the third year in a row after crushing Estacada 8-0. 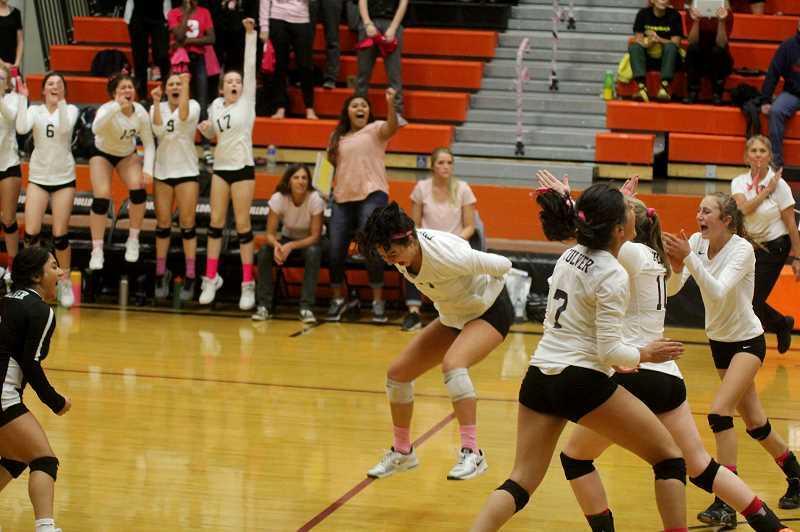 They first hosted McLoughlin in the first round of the playoffs and came away with a 3-1 victory. Sophomore Leo Gutierrez scored all three goals for the Buffs. Madras hosted Newport next, the team they lost to in penalty kicks at the state championship game in 2016. With revenge on their minds, the White Buffalos' 2-1 win advances them to the semifinals. 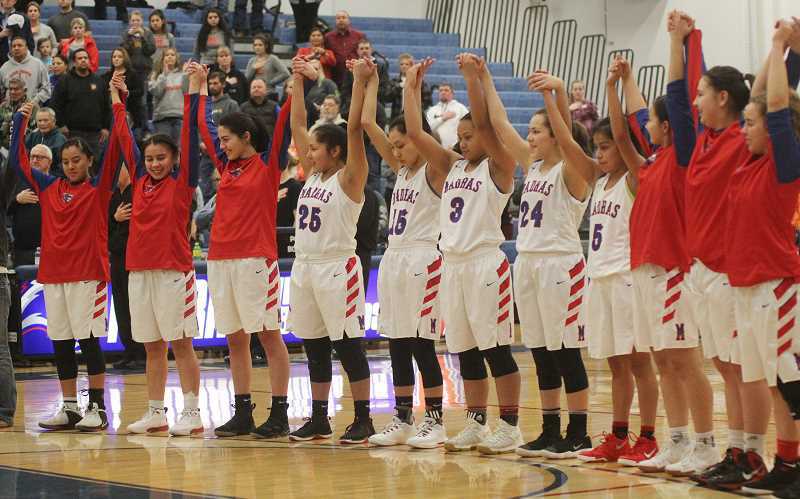 Madras lost to Woodburn, which won five state championship games at the 5A level between 2010-17 and now one at the 4A level in 2018. In the title match, they beat North Marion which was second in the TVC behind the Buffs. 4. Culver wrestling earns 11th state title — In February, the Culver Bulldogs wrestling program won their fifth state title in a row and their 11th in 12 years. The Bulldogs boasted five individuals in Lorenzo Vasquez (120), Jorge Olivera (145), Victor Torres (152), Jerron Rhen (160), and Cylus Hoke (190). The Bulldogs scored 201 total team points, just one point shy of 2017's record-setting points at the 2A/1A level. Several state placers returned this season for Culver. Joining state champions Vasquez and Hoke for this season will be Anthony Hood (2nd), Brody Piercy (3rd), Lane Downing (3rd), Hunter Augustynovich (4th) and Joe Russo (4th). Vasquez, who just signed a letter of intent to wrestle at Southern Oregon University, will look for a clean sweep and earn his fourth state title this year. Hoke is looking for his second state title and the rest of the Bulldogs are eager to show their worth this season. 3. Catylynn Duff breaks own 2A discus record — On her very last throw as a Culver Bulldog, Duff launched the discus 146 feet, 1 inch. She broke her own record of 128 feet, 8 inches back in the 2017 state meet. She also earned a gold medal in the shot put with a heave of 39 feet, ¾ inches in 2018. After her senior year, Duff signed a letter of intent for track and field to the College of Idaho in Caldwell, Idaho. 2. Lynden Harry earns Tri-Valley Player of the Year for the third year in a row —In the spring of 2018, Harry was named Tri-Valley Conference Player of the Year. An honor she was quite familiar with, as this was the third year in a row she earned the honor — a feat no other Madras athlete in any sport has achieved. Harry ended her senior season averaging 14.8 points, 6.9 rebounds, 4.1 assists and 3.5 steals. She helped lead the Buffalos to a 21-3 record and committed to The College of Siskiyous in Weed, California, where she is currently playing in her first season. Harry earned co-TVC Player of the Year in 2015-16 and Player of the Year in both the 2016-17 and 2017-18 seasons. During an interview in 2018, Harry said "Playing basketball for Madras ended too quickly." 1. MHS football receives new equipment from Peyton Manning — The Madras White Buffalo football program received a $10,000 grant from Riddell and Peyton Manning. On Sept. 5, Riddell announced the 18 teams from around the United States that received the grant for teams that showed their dedication to "smarter football.". The Madras football program has followed their core values in their DESIRE program ever since head coach Kurt Taylor took over in 2015. Madras implemented the discipline, effort, service, integrity, respect and excellence (DESIRE) values on and off the field, even participating in a service day, helping the community. Manning sent a video to the football team congratulating them on their new equipment saying, "We are impressed with your DESIRE program and your efforts to improve your student athletes, both on and off the field, for the betterment of your community." He also sent a signed football helmet to the program. Only 18 out of 1,400 applicants were selected to receive the grant. Taylor and the coaching staff were able to pick and choose the equipment and the White Buffalos rolled into league play with brand new gear. Honorable mentions — This year was a fantastic year for Jefferson County sports. With so many amazing accomplishments, records broken, droughts ended, and so much more, we could not squeeze all of them into just 10 stories. So we decided to list some honorable mentions that could have easily made the list. 2018 was a sports year to look back on and hopefully will be remembered. It is the athletes, coaches and programs that work very hard and deserve all the credit. Their desire and dedication are the reasons these stories are able to happen. They are the ones that make the stories, headlines and highlights that make it into the paper. 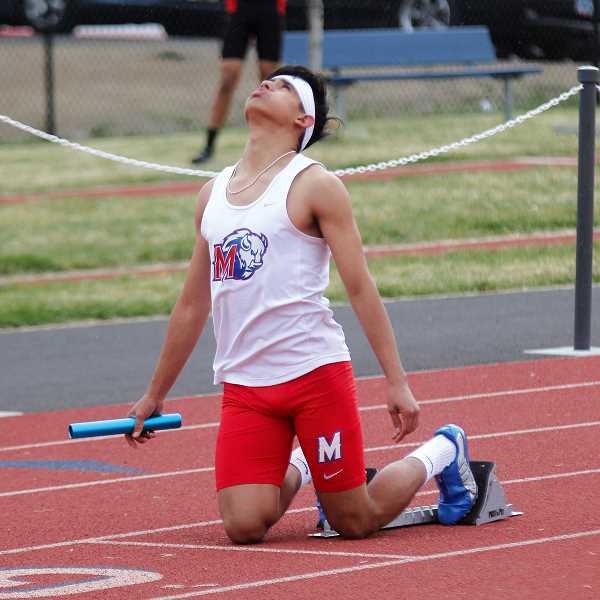 Four MHS track athletes traveled to state and all finished top eight. That is something that has not happened in over a decade. A Junior Warm Springs softball team won districts and state. The team won state in one of the most exciting ways you can, a grand slam. The Madras girls soccer program ended a postseason drought last year that dated back to 2003. They proved their worth again in the 2018 season and were able to make the postseason for second year in a row. The MHS tennis team had a strong performance at districts this year. On the boys side, Tony Giron and Esteban Gomez were able to make it to the championship match, placing second. Olivera cousins, Jessica and Erika, were able to place third at the district meet and did well at state, finishing in fifth. Both doubles teams are returning in 2019 for their senior seasons.